‘But Brigid, what are Food Scoops?’, I hear you un-enlighted fellows ask? Simply, its a story, exposé or report on a new/exciting discovery in the world of food, usually some variety of snack! Thus reporting on it is a ‘scoop’. Throughout the duration of this post I will bring you hard-hitting exposés on the Food Scoops that I find in my newest frontier: Italy! Food Scoop 1) Nutella & Go! I happened upon this discovery in Rome when I was waiting for my train to Bologna. At first glance it seemed like an excellent innovation compared to the form of nutella I am most used to eating (that is the small sachets we have in Australia which come with a plastic stick to eat the Nutella with). 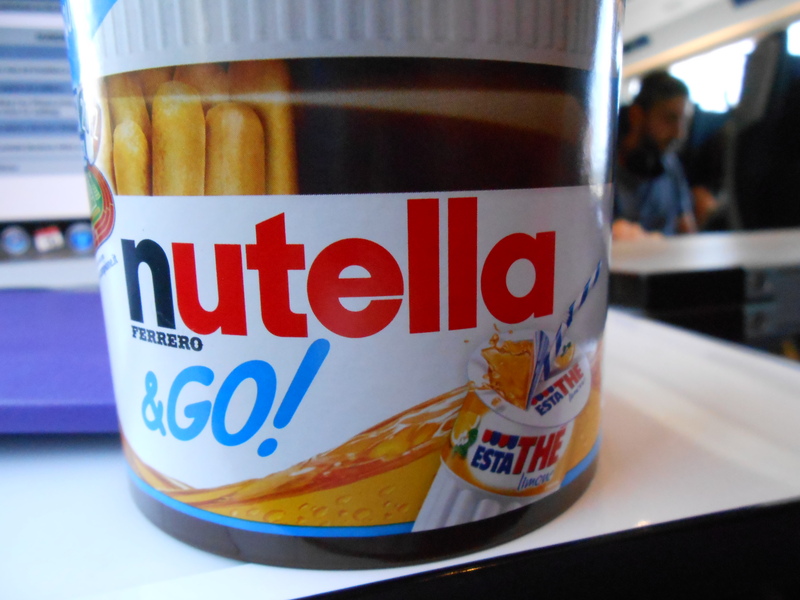 Nutella & Go! seemed great because they had combined the eating utensil with food…i.e. included little bread sticks as the eating utensil to dip into the nutella and then eat! Genius…no? Well, I thought so! The combination is in fact delicious, and the pack includes a generous helping of Nutella so you are more than satisfied. There was only one minor peculiarity: Nutella & Go! also includes a beverage (kind of like a popper, except it is soft drink-not juice). I didn’t realise this when I purchased my snack, but I sampled the beverage anyway. Unfortunately it was warm, and not overly delicious. However, Nutella & Go! is still a highly enjoyable snack (if you skip the drink provided), thus I am enstating it as the first entry into my list of Food Scoops for Eataly 2012. I recommend it to Nutella lovers everywhere! This little treat immediately made its way to my heart, faster than many of my other favourite foods. 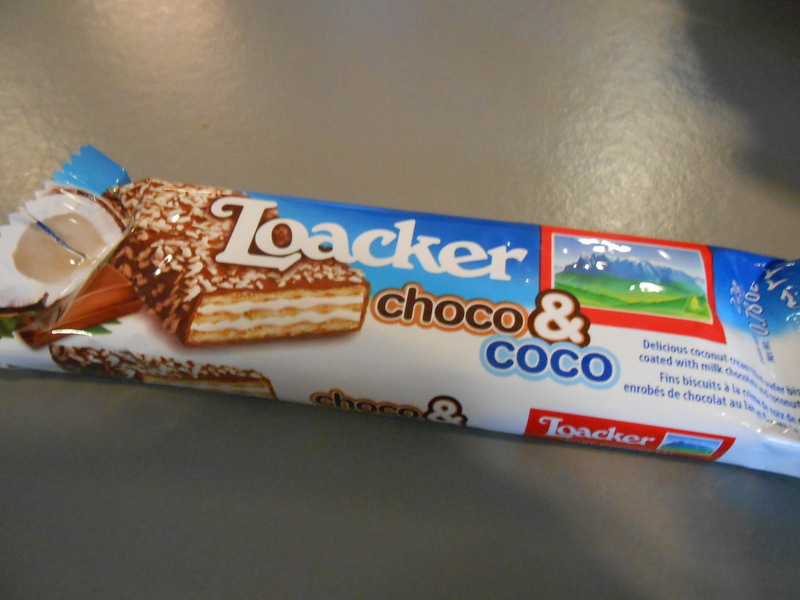 As the picture shows it is a little wafer bar which is made of deliciousness. However, this is only a treat for coconut lovers. It reminds me of the white ferrero rochers…except in a the form of a wafer and chocolate bar and no nut in the middle. Either way it gets 10/10 and has become part of my own Bolognese diet! 1 Response to Food Scoops!! Please ship me a crate immediately.